On April 7th of this year, the U.S. Citizenship & Immigration Services announced that the statutory cap on H-1B visa submissions has been reached. This program, which allows U.S. companies to hire foreign workers who possess specialized skills in mathematical, scientific, or engineering disciplines, is limited to 65,000 petitions, in addition to 20,000 that are filed under an advanced degree exemption. As Berd & Klauss, PLLC, a New York City-based immigration law firm, explains, the USCIS will now reject and return all of the petitions that were not selected, along with any paid filing fees. On April 9th, 2016, the USCIS used a randomized computer selection process to choose 65,000 H-1B petitions and 20,000 advanced degree exceptions out of 236,000 H-1B petitions received. Premium processing for those petitioners who purchased the service will begin no later than May 1st, 2016. Extend the tenure of current H-1B workers who would like to remain in the United States. Changing the terms of employment for a current H-1B worker. Allowing a current H-1B visa holder to change employers. Allowing a current H-1B worker to maintain a second position. 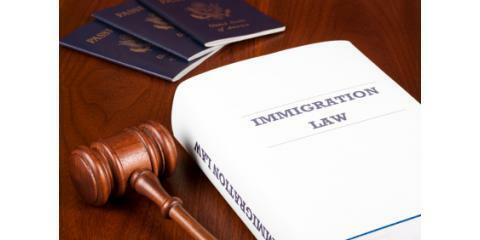 Whether you're applying for an H-1B visa for a worker or need an immigration law attorney to provide a vigorous deportation defense, the professionals at Berd & Klauss, PLLC have the detailed, up-to-the-minute immigration law expertise you need. Visit their website to learn more about their range of legal services, or call (212) 461-7152 to schedule a consultation today.